Is there any paperwork or document for the mechanical systems of 49 Mugford Rd, Aurora, Ontario? I need more information about the property at 49 Mugford Rd, Aurora, Ontario. How ist the neighborhood, location and nearby amenities for 49 Mugford Rd, Aurora, Ontario? I have questions about the roof, foundation, insulations and mechanical issues of 49 Mugford Rd, Aurora, Ontario? I need more information about property details. What's wrong with this house? Is this a short sale? Is there any maintenance for 49 Mugford Rd, Aurora, Ontario? What is this property worth in today's market? What are "closing costs", and how much? What steps should I take when looking for a home loan? What price home can I afford? Is my credit good enough to buy this house? What are the best mortgage options for me? How flexible is the seller on the asking price? 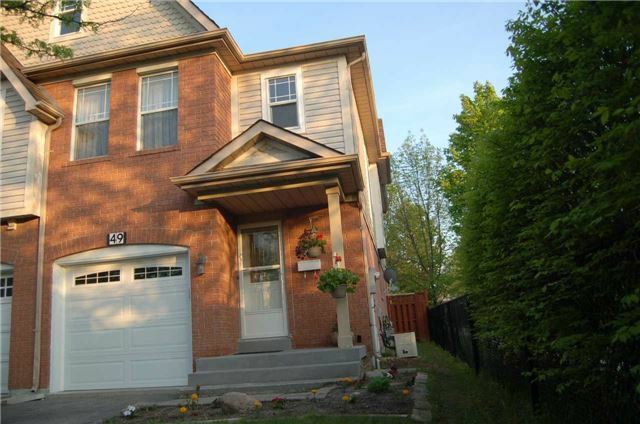 How low can I consider offering for 49 Mugford Rd, Aurora, Ontario? Great Location, Well Kept Bright In Very Sought After Area Of Bayview Wellington. Great Schools: Northern Lights P.S. Lester B. Pearson P.S. (F.I). St. Jerome Catholic E.S. Very Welcoming Home With Great Energy. Large South Facing Sun Filled Backyard. New Deck (2017). New Garage Door And Opener. New Premium Oak Hardwood 2nd Fl. Close To All Amenities, Go Station, No Sidewalk. Double Door Master Bedroom With Ensuite Bath And W/I Closet. Lot Of Pot Lights. .. Stainless Steel Fridge, Stove, B/I Dishwasher, Washer And Dryer, New Electric Garage Door Opener And Remotes. All Elfs, Central Vac. And Attachments, Jacuzzi Tub As Is Condition. Exclude All Window Covering (Curtains). .